Skin cancer screening in Maryland can save your life. In fact, skin cancer is the most common form of cancer in the United States, and 1 in 5 Americans will experience it in their lifetime. However, it is also very treatable when detected in its earliest stages. So, get a healthy start to the new year by scheduling your annual screening for skin cancer in Maryland. Continue reading to learn what to expect should you go in for a screening of skin cancer in Maryland. What is a Skin Cancer Screening in Maryland? 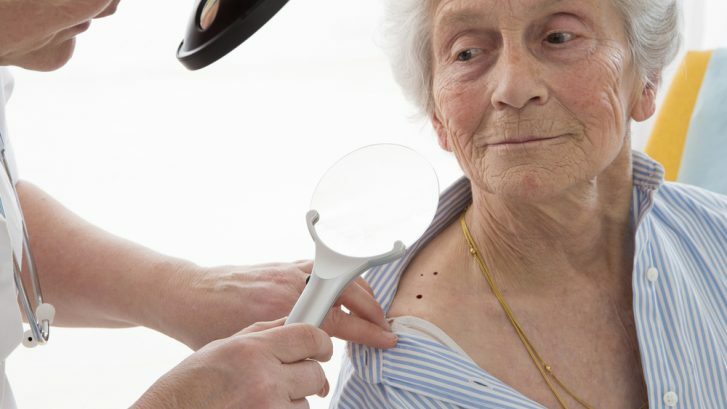 A skin cancer screening is a visual inspection of the skin to assist in the diagnosis and treatment of skin cancer. When caught early, squamous cell carcinoma and basal cell carcinoma have a high cure rate of 95%. Early detection is also essential to identify and treat melanoma before it spreads. Who Performs a Skin Cancer Screening? Skin cancer screenings are performed by a board-certified dermatologist in an office-setting. He or she will not only exam the skin for suspicious or evolving lesions, but will also provide patient education about skin cancer prevention techniques and self-exams. A skin cancer screening in Maryland takes as little as 10 minutes. This time frame includes paperwork and the examination, making the screening a quick and efficient health assessment tool. What Areas of the Body Will Be Examined? In the privacy of your dermatologist’s office, a full body examination will be performed. However, if a skin cancer screening were to take place in a more public space, then only exposed areas, such as the face, neck, hands, arms, etc. would be evaluated. How Often Should You Have a Skin Cancer Screening in Maryland? It’s recommended that women and men of all ages and ethnicities have a skin cancer screening in Maryland on a yearly basis. Additionally, patients should perform self-exams periodically and look for any new lesions or asymmetry, irregular borders, color and size changes, or evolution of existing moles. To schedule your FREE yearly screening for skin cancer in Maryland, please contact our office today to make an appointment.